For nearly 30 years, we’ve helped our guests adjust to altitude while staying healthy and active. As the original “Delivery-To-Your-Door” oxygen service, we continue to set the standard with research proven methods and exceptional customer service. Trust your vacation with the local experts. Looking for answers concerning high altitude and how to stay healthy? We have pioneered a common sense approach that any traveler will appreciate. Ready to make your reservation? We can walk you through the steps in only a few minutes with great advice along the way. It doesn’t get any easier. While helping thousands of travelers adjust to high altitude and conducting research for nearly 30 years, our Top Ten Tips are designed for guests just like you. Ready to make your reservation? We can walk you through the steps in only a few minutes while giving you great advice along the way. It doesn’t get any easier. For the simplest and most cost effective way to adjust to altitude, we recommend our concentrator packages. These units produce unlimited oxygen and never need refilling. Supply two people with continuous oxygen at the same time. 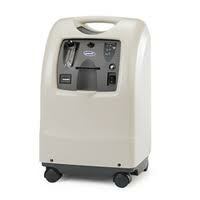 Dual user oxygen concentrators are the perfect solution for acclimating to altitude. Trying to recuperate after a big day? 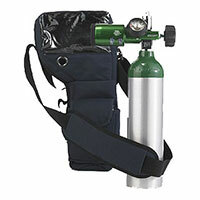 Our portable tank is a smart choice, providing one guest with a small and light source of oxygen that is easy to bring along. 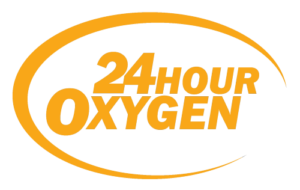 24 Hour Oxygen Makes Oxygen delivery fast and easy. We deliver to your front door or front desk and answer all of your questions, when you’re ready we’ll pick it up at your convenience. It doesn’t get any easier to help you enjoy your vacation! I can’t say enough about their service, after a full nights rest on oxygen I was good to go! Yes! At 10,000 feet, you are breathing one-third less oxygen in every breath compared to sea level. So, using supplemental oxygen only makes sense. Can I reserve oxygen before my trip? Yes! We encourage reservations to ensure we have the equipment available when you need it and to guarantee that you stay healthy during your visit. We pride ourselves in great customer service. During normal business hours our goal is to be at your door in under an hour. At peak times or when we deliver outside of Breckenridge, it may take just a little longer. Our drivers will always contact you and set up a time that is convenient for you. We deliver everyday. Orders may be placed 24/7 via our website or by calling 970-453-6994. Do I have to be present to receive a delivery? No. Our drivers can simply leave it at the front door or front desk. We are based in Breckenridge, Colorado. We also deliver to Blue River, Dillon, Frisco, Keystone and Silverthorne.